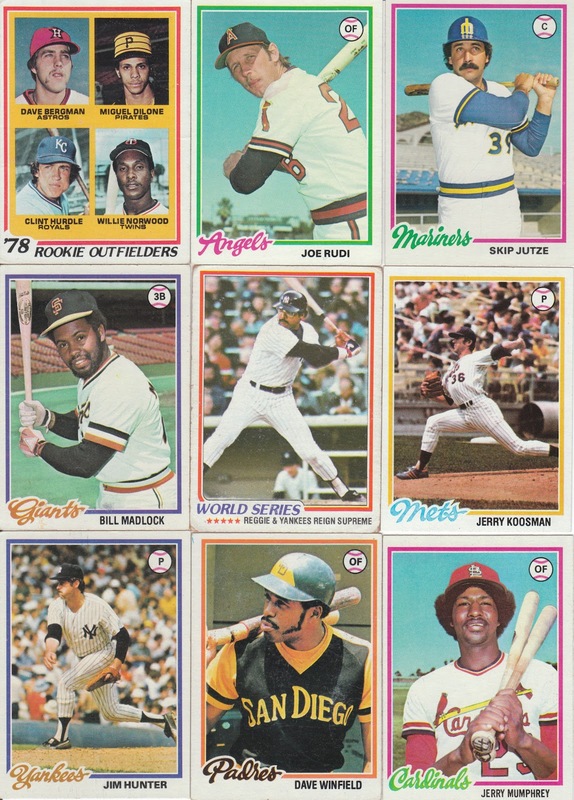 The Daily Dimwit: Another Installment of "No, YOU check out MY cards!" Another Installment of "No, YOU check out MY cards!" Alright, I went a little crazy over at COMC.com the other day and got my cards in today! 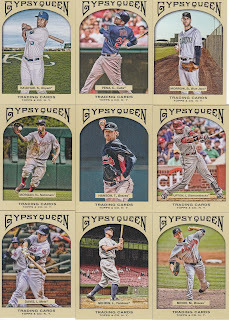 These bunch gets me ever so closer to my 2011 Topps Gypsy Queen mini set! Only 16 left!!! Come on friends! Help a guy out! I'll trade for them and you won't be disappointed! Especially since most of the ones I need are SP's!!!! As for the Goodwin Mini's, those are the last three mini's I needed for the set, now I just have 1 SP base card to pull in and I'll be done with that one too!!! Some randomness I bought to finish out the credit I had on the site. Picked up the 2 1958 cards for $.50 each! They are most definitely for trade if anyone wants/needs them. The Clemens is a sweet bordered parallel and I added another Berkman bat to my collection! 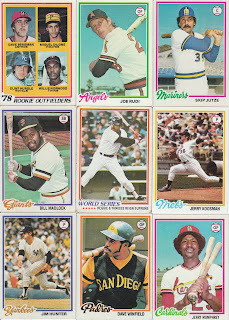 Here's a bunch of 1978 Topps base I got as well! 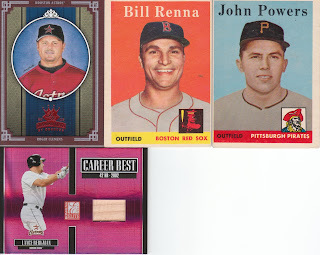 Some great cards here, and again I only have 5 cards left that I need for the complete set!!!!! Help me finish this one off!!!! Here are two of the Goodwin SP's that I needed, again leaving me only 1 regular base card to complete that set. 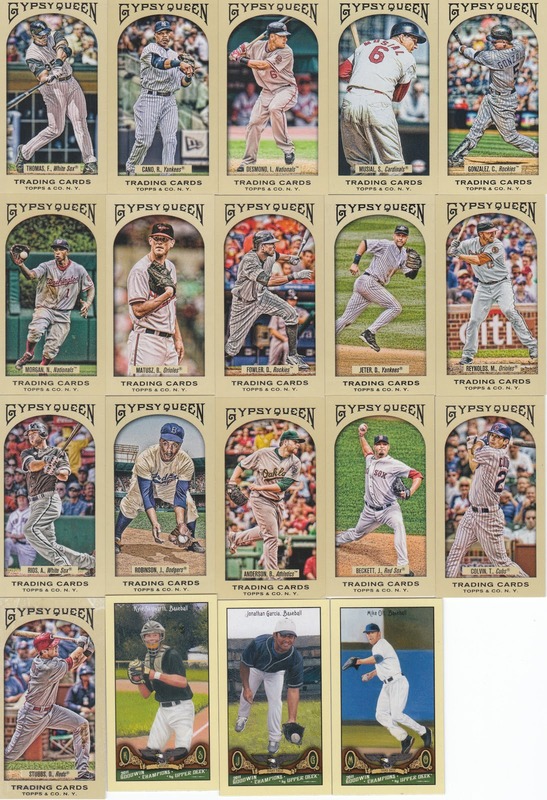 The Ripken completes the 2008 Masterpieces base set + SP's for me as well! Pretty soon, I'm going to have nothing left to chase!!! 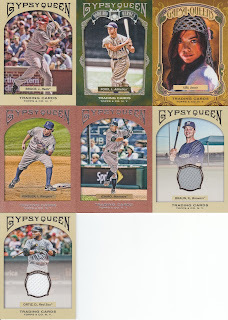 An assortment of 2011 Gypsy Queen base cards for my "2nd Set"... I picked up the last SP I need to have a full base set plus all the hobby and retail insert sets ready to sell. Any readers on here even remotely interested? I'll offer it up for sale here before I go to eBay with it. 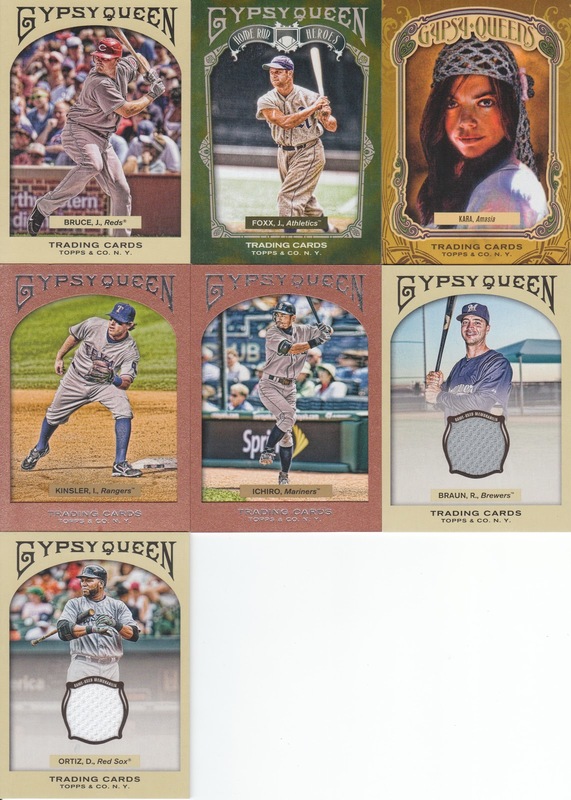 A few more inserts. Those two bronze borders bring me down to just 2 needed to complete the set: Red Schoendienst and Josh Hamilton (62 and 64)... which I picked up on SportLots.com and eBay today. 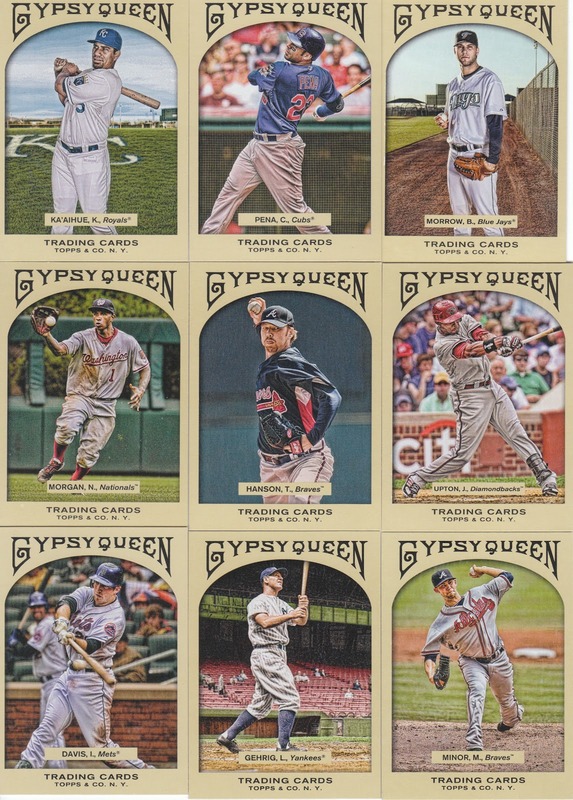 I've got the 100 card Gypsy Queen Bronze border set COMPLETED!!!! And finally two relics to add to the growing collection of GQ Relics that I have going. I will complete these two relic sets! I promise! You somehow picked up 2 1958 cards I already have! If you have others send me a list and we'll see what we can work out. I have the Hamilton. I also have the Hakeen Olajuwon jersey from Goodwin Champions you're looking for. Check out my trade bait and see if there's anything else you'll want for it and make me an offer.